Vandry Brazillian Jiu Jitsu Academy will be closed in observance of Memorial Day this Saturday, May 26th, and Monday, May 28th! We hope everybody has a great holiday weekend! 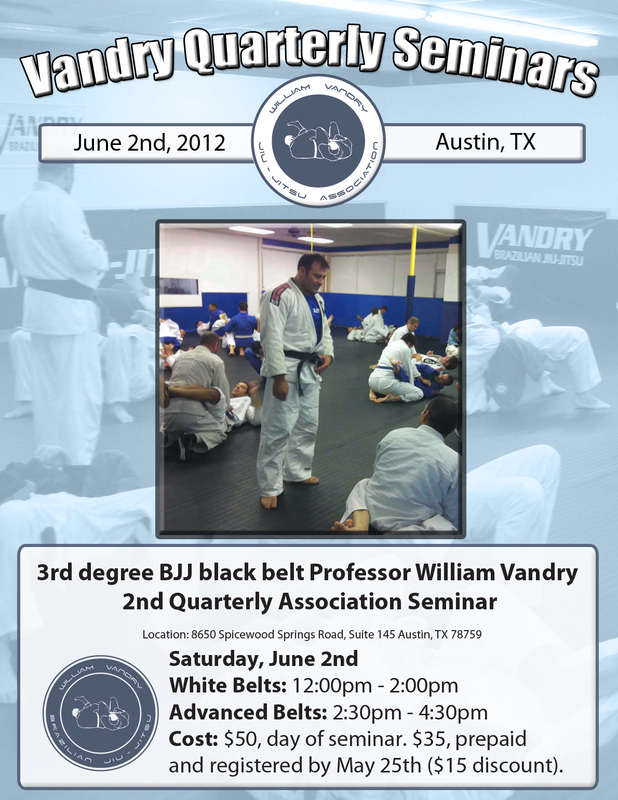 There will not be any Adult or Children’s Classes next weekend, Saturday, June 2nd, as the seminar will be going on! The school will be closed Saturday, May 26th through Monday, May 28th. Classes resume Tuesday, May 29th. Enjoy your Memorial Day weekend! See you in class Tuesday! I have noticed over the years many students in BJJ class that train, weight train, cardiovascular training, etc., are in great shape. I have some really committed athletes at my academy in Austin, Texas. They train so hard and could train 7 days a week. When I was a teenager, I did not notice as much arthritis or any other degenerative conditions as today. My first article on a term I coined the Vandry Racehorse Theory was a term that fit my description of a person’s overall run for the long road. This has been covered in past articles on issues anywhere from inflammation, stress, chiropractics to anxiety and depression. As in people, pain is a very common subject in society. Look at your local medical center. Look at our neighbors. Everyone in society seems to have either a past knee surgery, back surgery, bad back, chronic pain, and all of these seem to be related more and more of a higher percentage to our joints, tendons and ligaments. – More than half of Americans live with chronic or recurrent pain. -About four in 10 Americans say pain interferes with their mood, activities, sleep, ability to do work or enjoyment of life. Two-thirds report interference with any one of these. Let’s open up the subject for all you folks out there with the pains, aches, shoulders falling off. Look at our daily solutions…nsaids, Tylenol, cortisone shots,etc. “Even at normal NSAID dosages, people with compromised kidney function can develop NSAID toxicity” (1). “Adverse effects of NSAIDs cause 103,000 hospitalizations and 16,500 deaths per year in the United States” (2). “In patients with such a history, however, use of NSAIDs (aside from low-dose aspirin) was associated with more than 10-fold increase in heart failure” (3). ” You may as well wear a sign, ‘Please kill my kidneys’” (4 Rice University). The use of non-steroid anti-inflammatory drugs (NSAID) has commonly resulted in internal bleeding and stomach ulcers. Every year over 100,000 individuals are hospitalized and over 15,000 people die as a direct result of NSAID consumption. In America alone 50 people die every day as a result of medicating with common NSAIDs like Ibuprofen. Two of the most common side effects of NSAIDs are severe damage to the renal (kidneys) and gastrointestinal (GI) systems. Renal damage can be reversible and has been known to occur as a result of short and long term consumption of NSAIDs. Dehydration can increase the chance of renal damage as well as being diabetic NSAIDs also change the water and sodium balancing function which can have a severe impact on intense athletic situations with high heat and prolonged activity. GI damage like stomach ulcers can be potentially lethal. Bleeding ulcers have resulted due the inhibited platelet formation which also impacts other internal and external injuries. Individuals who consume NSAIDs also have an impaired response to viruses and bacteria which decrease the body’s ability to combat infectious diseases. This is a result of neutrophils (one type of white blood cell) deficiency. 307,590 calls to US Poison Control Centers were made as a result of NSAIDs in 2007. This means that over 80,000 calls a day are made, according to the American Association of Poison Control Centers National Poison Data System (AAPCC NPDS). The New England Journal of Medicine published an article in June of 1999 that stated, “It has been estimated conservatively that 16,500 NSAID-related deaths occur… every year in the United States” More deaths occur every year from NSAIDs than acquired immunodeficiency syndrome, cervical cancer, or Hodgkin’s disease. Despite the severity of NSAID toxicity, it remains a silent epidemic. The numbers are equivalent to the 15th leading cause of death (10). In spite of this knowledge, the FDA did little to warn consumers. Over time certain NSAID medications that were especially toxic were withdrawn or banned. Research has slowly progressed to find less toxic NSAIDs or to find other medications that will counteract the damage being created, but there was no large-scale public alert about the potential hazards of these drugs. Instead the FDA opted to simply provide a warning label on NSAIDs. The controversial Dr. Joel Wallach, a veterinarian doctor and naturopathic doctor has claimed some very interesting points on minerals in the daily life and with disease. First, Dr. Joel Wallach is degreed and has a DVM license, and a ND license. So do many others in alternative medicine, such as my favorite doctor on earth, Dr. Sherry Rogers, who has the best information for recovering, disease, nutrition and health. Dr. Rogers is also an M.D. for forty years, and has practiced medicine in the fields of the future. This brilliant medical doctor also does not have one grey hair on her head, plays two hours of tennis each morning and she herself has overcome 18 diseases by doing her research – the medical journals. And she is 69 years old. She looks around mid thirties. I have learned so much from her books. Dr. Sherry Rogers MD, is a Fellow of the American College of Allergy and Immunology and a Diplomate of the American Academy of Environmental Medicine, Dr. Roger’s is a member of the outstanding Healthy, Wealthy and Wise Health Staff, with regular appearances together with Frank Jordan on the HWW Radio Show. Dr. Rogers lectures on her original scientific material worldwide, as well as giving advanced courses for physicians. She developed the Formaldehyde Spot Test and published her mold research in three volumes of the Annals of Allergy. She has published chemical testing methods in the National Institutes of Health Journal, Environmental Health Perspectives. “If there’s blood supply to that joint and that bone, they will regrow bone and cartilage. Well, Harvard Medical School goes berserk when you say stuff like that. “Wallach, you can’t say those things! And the only thing left when they get bone to bone arthritis is joint-replacement surgery.” And I would agree with him if the only raw materials you are using is Tylenol and aspirin and Prednizone and Cortisone. We have learned over 50 years that you can’t regrow cartilage and bones using those things. 1) People with high cholesterol live the longest. 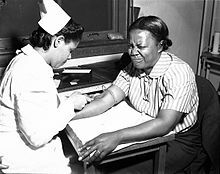 In 1957, Dr. Norman Jolliffe, Director of the Nutrition Bureau of the New York Health Department initiated the Anti-Coronary Club, in which a group of businessmen, ranging in age from 40 to 59 years, were placed on the Prudent Diet. Club members used corn oil and margarine instead of butter, cold breakfast cereals instead of eggs and chicken and fish instead of beef. Anti-Coronary Club members were to be compared with a “matched” group of the same age who ate eggs for breakfast and had meat three times a day. Jolliffe, an overweight diabetic confined to a wheel chair, was confident that the Prudent Diet would save lives, including his own. In 1966 the results of Dr. Jolliffe’s Anti-Coronary Club experiment were published in the Journal of the American Medical Association. Those on the Prudent Diet of corn oil, margarine, fish, chicken and cold cereal had an average serum cholesterol of 220, compared to 250 in the meat-and-potatoes control group. However, the study authors were obliged to note that there were eight deaths from heart disease among Dr. Jolliffe’s Prudent Diet group, and none among those who ate meat three times a day. Dr. Jolliffe was dead by this time. He succumbed in 1961 from a vascular thrombosis, although the obituaries listed the cause of death as complications from heart disease. It is also important to understand that eating high cholesterol foods will not automatically lead to high cholesterol levels in the blood. Nor will it automatically lead to heart disease. The Masai is an African tribe whose members eats only meat, blood and milk. Their diet has plenty of saturated fats as well as high cholesterol foods. Yet they have one of the world’s lowest levels of blood cholesterol. In India, North Indians, eat more meat and used mainly ghee (clarified butter) for cooking, compared with South Indians who were mainly vegetarian. The North Indian diet had 17 times more saturated fat than the South Indian diet. Plus, of course, the North Indians ate plenty of high cholesterol foods. Yet a 1968 study found that North Indians had seven times less heart disease than Indians in the South. This was because, by the late 60s, South Indians had started the switch from coconut oil, which contains about 90 percent saturated fats, to margarine and other polyunsaturated vegetable oils. More recent studies show that North Indians are finally begin to catch up with the South in heart disease rates – because North Indians have started to use less ghee and more margarine and vegetable oils. “Dr. W.T.N. taught at Harvard, was cardiac expert for NBA, and finished the Boston Marathon three times. You guessed it- he died one and a half years after Reggie from the same type of heart attack. Dr. W.T.N. forgot that the human body needs something more than drugs, pacemakers and surgery. They both died from mineral deficiencies. For the Racehorse theory, inflammation is a huge indicator and has affected all of us at one point or the other. Needing mineral supplementation in our body is mandatory to our joints, vascular system, the way the entire body works. As athletes, the joints, tendons and ligaments are always under wear and tear. Overtraining can rob the body of minerals when they are perspired out and not replaced. When we lose minerals for instance, magnesium, selenium are primary functions along with CoQ10 for cardiovascular reasons among others, and we see what the FDA itself has said about too many NSAIDS, and a desire for alternative means for just pain. Supplements such as serrapeptaste, curcumin and others have anti inflammatory effects. Also adjustments with your favorite chiropractor is a very needed avoidance of future chronic joint, neck or spine injuries. Of course on the subject of pain, inflammation, tension and inuries, I have to add the St. Jude’s Miracle OilTM pain product. I tested the SJMO at a bodybuilding event as a vendor. 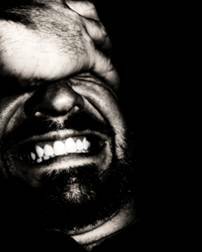 Pain causes almost 13% in the US for lost time at work. We need to start with our nutrition, supplementation, and if you can find a good caregiver, that’s a start. There are great doctors out there that really mean well, and we just have to shop around. And there are good alternative doctors too, beginning with your chiropractor. 3-Page, J; Henry, D (March 2000). “Consumption of NSAIDs and the development of congestive heart failure in elderly patients: an under recognized public health problem” (Free full text). Archives of internal medicine 160 (6): 777–84.doi:10.1001/archinte.160.6.777. ISSN 0003-9926. PMID 10737277. 5 The main adverse drug reactions (ADRs) associated with use of NSAIDs relate to direct and indirect irritation of the gastrointestinal (GI) tract. NSAIDs cause a dual assault on the GI tract: the acidic molecules directly irritate the gastricmucosa, and inhibition of COX-1 and COX-2 reduces the levels of protective prostaglandins. Traversa, G; Walker, Am; Ippolito, Fm; Caffari, B; Capurso, L; Dezi, A; Koch, M; Maggini, M; Alegiani, Ss; Raschetti, R (January 1995). “Gastroduodenal toxicity of different nonsteroidal antiinflammatory drugs”. Epidemiology (Cambridge, Mass.) 6 (1): 49–54. doi:10.1097/00001648-199501000-00010. ISSN 1044-3983. PMID 7888445. 7 A 2005 study linked long term (over 3 months) use of NSAIDs, including ibuprofen, with a 1.4 times increased risk of erectile dysfunction.^ Shiri et al (Received 2005-05-21). “Effect of Nonsteroidal Anti-Inflammatory Drug Use on the Incidence of Erectile Dysfunction”. Journal of Urology 175 (5): 1812–1816. Retrieved 12 June 2011. And “Non-steroidal anti-inflammatory drugs linked to increased risk of erectile dysfunction”. sciencedaily.com. 2 March 2011. Retrieved 7 June 2011. 10. Wolfe M. MD, Lichtenstein D. MD, and Singh Gurkirpal, MD, “Gastrointestinal Toxicity of Nonsteroidal Anti-inflammatory Drugs”, The New England Journal of Medicine, June 17, 1999, Vol. 340, No. 24, pp. 1888-1889. 11. Wolfe M. MD, et al, The New England Journal of Medicine, June 17, 1999, Vol. 340, No. 24, pp. 1888-1889. Proc Nutr Soc. 2006; 65(1):35-41. Arch Pub Health. 2005, 63:1-16. Ginter E. Bratisl Lek Listy. 2008. 109(10):463-6.